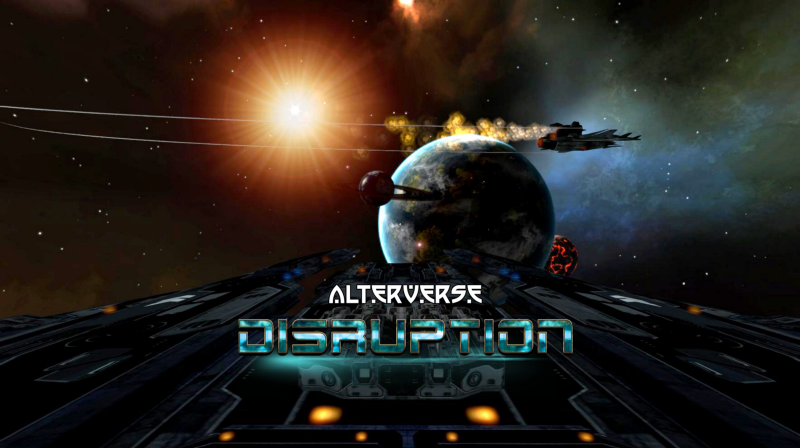 What is AlterVerse Disruption – AlterVerse Inc.
Disruption is the first of 17 planned games due for release in the AlterVerse, a gaming and building multi-verse which enables players, streamers, builders, asset creators and hosts to monetize using in-game tokens called Aces. Disruption sets the stage for what will be an interconnected, global network of gaming worlds where gamers can earn, buy, sell, and trade digital assets like character skins, weapons, animations and other rare, collectible items tracked on the blockchain. In Disruption, you can explore a far-flung solar system of the AlterVerse by traveling through space in specialized Disrupter ships, so named because the Disrupter field they generate allows them to navigate the breach between our reality and the AlterVerse. Players can experience Disruption in virtual reality with an Oculus Rift or HTC Vive, although a VR headset is not needed to play and enjoy the game. The giant ships host large crews which can then raid each other’s treasuries in team raids and win native cryptocurrency tokens. You can be a crew member with a customizable avatar or even captain your very own Disrupter battleship complete with its own crew! Server owners each control a battleship, each of which is fully customizable from the textures and color schemes on the bridge and the ship exterior to the individual crew rooms themselves. Server owners can also set an entry fee for joining a team raid and a corresponding reward for successful raiders, making each ship like a small business that generates revenue for server owners. The tokens earned from gameplay can be used on in-game items in the AlterVerse marketplace. Raids are carried out by alliances which players can create or join. Disruption isn’t all about raiding. When a player enters the game, they’re prompted to complete the main quest by the ship’s AI, called A.V.I.I. The ship’s controls have been taken over, and the goal of the quest is to save the ship in as little time as possible. Players have to navigate malfunctioning defense drones and battle otherworldly creatures in order to reach the control center and reset the controls, and players can replay certain levels or the whole quest to try and improve their high score. Of course, one of the most exciting aspects of launching an online VR community is simply watching the players interact in their free time. When not locked in deadly hand-to hand combat or engaged in a ferocious firefight on the bridge of a battleship, players can hang out in a group lounge or the crew room of the ships which have customizable textures and usable furniture as well as Big Screen TVs which access the internet. Disruption enables users to run their own business with real financial rewards, trade non-fungible digital assets on blockchain technology that will be transferable to other game worlds in future releases, and explore outer space in the majesty of VR in a customizable battleship with their friends. Many more worlds and games are already prototyped and will be released over the coming months. You can learn more about AlterVerse and Disruption by visiting the AlterVerse website or following us on Twitter, Facebook, Telegram, Discord, or join our brand new Reddit community.